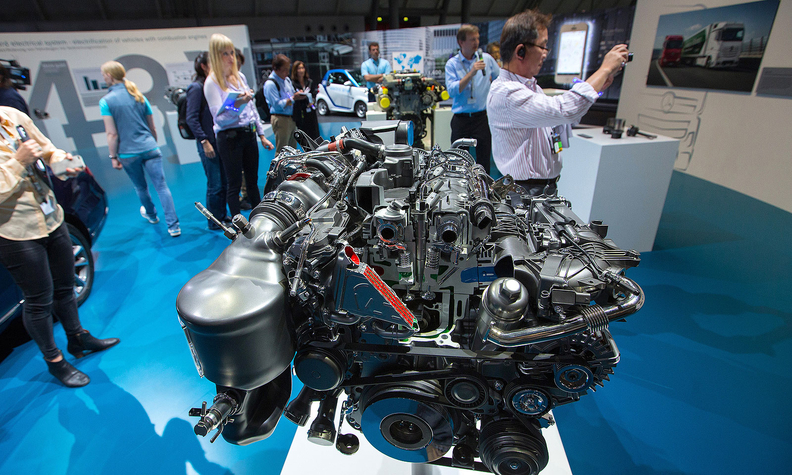 Mercedes weighs discontinuing diesels in U.S.
An all-aluminum 4-cylinder diesel engine on display during Daimler's TecDay Road to the Future event in Stuttgart, Germany, in June. The company is conducting market research on U.S. diesel demand to help guide future product plans. LOS ANGELES -- With consumer demand dwindling, Mercedes-Benz is questioning whether to continue offering diesel vehicles in the U.S.